This is one of the biggest financial decisions you are going to take in your life – and it is as much art and luck as science. Once you have done everything you reasonably can to make the house more appealing to buyers, you then need to stack the odds in your favour as much as possible by doing your homework. Remember, it is you, not the estate agent, who decides what price to put the property on the market at. Click here for an instant property valuation. If the mortgage valuer or estate agents are not local people, they will rely on house sales statistics from sources such as the Land Registry, which will not necessarily give them a well-informed insight into very local variations in house prices, including such factors as local school catchment areas. Local estate agents have good local knowledge, but they might have been suggesting an unrealistically high valuation in order to get you to instruct them. Choose an estate agent based on their track record of achieving asking price, this will give you an indication that they are more realistic about their valuations. The difference in valuation given by an estate agent and mortgage valuer can be as much as 20% of the value of the property. The only solution is to turn yourself into an expert on local house prices – both how much houses have sold for, and how much they are on the market for. Use our free instant online valuation tool to get a high and low estimation, as well as possible rental income. Be aware of what is happening to local house prices, as the dynamics of the market will inform whether you can be optimistic or pessimistic about the price you will get. Buyers presume there is space for negotiation in the asking price, so you should be prepared to adjust for that. Ask for 5-10% above what you would be happy to get for it. The way stamp duty is calculated changed. Put the house on at a lower price. 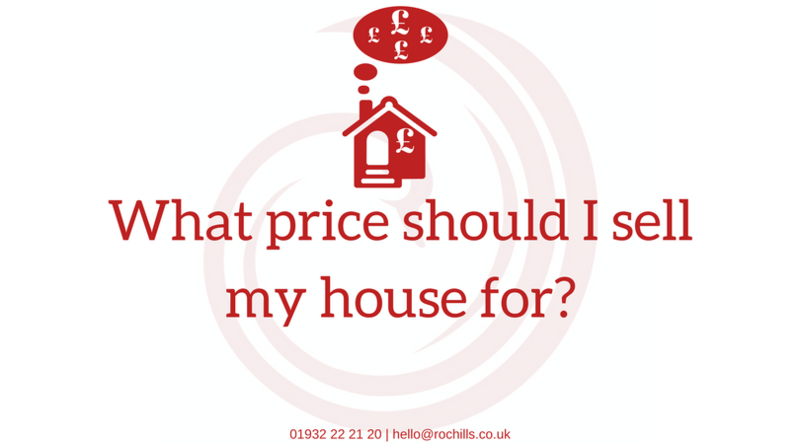 Estate agents often recognise this by saying a property is “priced to sell quickly”. You are more likely to attract speculative cash buyers this way, which can make the whole transaction very quick. o Because you ask for “best and final offers”, buyers usually put in good offers – often significantly above the asking price. The danger is that there is no interest, and you just get cheekily low offers – leaving you back at square one. Remember, that an offer is not legally binding, so you do not have to accept any of them. Start high, but be prepared to go lower. If you sell at a high price, great. If you do not, then you can slowly reduce the price until you do sell. You will have thoroughly tested the market. The danger of this approach is that if the house sits on the market a long time, it might become blighted in the mind of potential buyers, asking “what is wrong with it?”. You could reduce this risk by taking it off the market for a while and then start afresh a bit later. You can obviously only do this if you have a lot of time. Start low, attract attention, and try and get a bidding war going, with purchasers bidding each other up. This obviously works best in a hot market with lots of willing buyers and few properties for sale. It is usually combined with not accepting any offers for the first period (a couple of weeks or more). This general approach is rare in the UK, but popular in other countries such as Canada.For more free advice and updates on the local property market, join the Walton Property Community on Facebook or check out our video advice library on our YouTube channel here.